Doing Good With Your Donations – Letting You Know Where Your Money Goes! As a charity, the donations that we receive from you lovely lot are absolutely essential so that Everyone Can is able to continue making sure that everyone, can. That is what we are all about. Since Everyone Can was set up some 43 years ago – albeit under another name – we have been doing everything possible to make sure that everyone can communicate, control their home environment, and live their life with as much independence as possible. With the power of assistive technology, we can teach disabled people how to use the equipment and software that can knock off those first three letters and allow them to feel abled. It is true that technology has allowed us to improve the livelihood of hundreds of people, whether travelling to someone’s home, running technology workshops from our Manchester hub, or inviting dozens of fantastic kids to join our growing community of gamers. Of course, we couldn’t do our work without your donations. Whilst we can’t say thank you enough, we can tell you some of the ways your donations have helped bring joy and incredible change to the lives of some wonderful people. Having recently opened our all-singing all-dancing Everyone Can Centre, it is fully equipped with all of the software and apparatus that we need to carry out a thorough assessment. 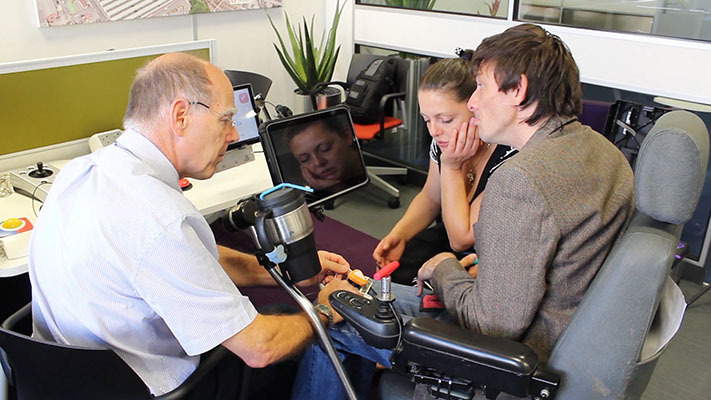 Being able to do these assessments is really important because we can find the best-matched assistive technology to overcome some of the challenges and barriers that a person’s disability presents. 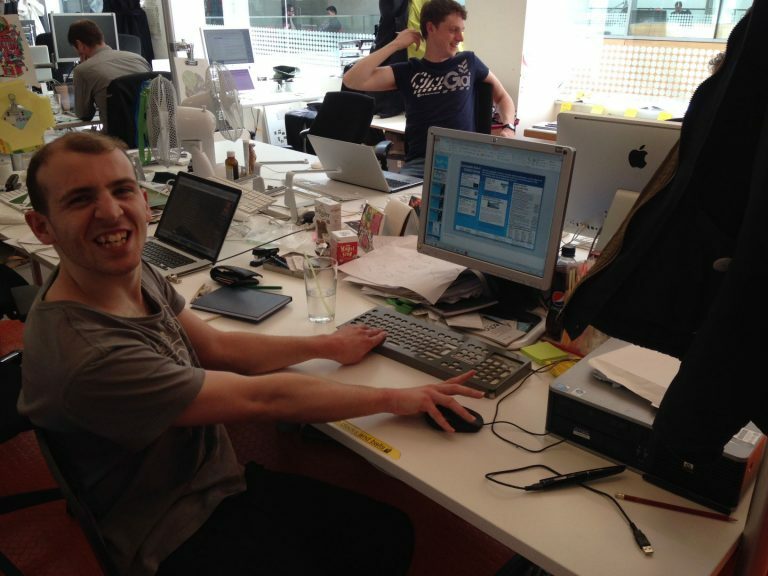 For example, Jamie, who has cerebral palsy, was unable to speak without his partner, Emma, translating for him. After his initial assessment, we taught Jamie how to use a piece of technology that would allow him to speak – something that most of us will take for granted. No longer needing to communicate through his partner or family members, Jamie was able to speak for himself. This is just one example of how your donations have made it possible to transform not only one person’s life, but their family’s lives too. You can read more about Jamie’s journey with Everyone Can here. The Everyone Can Game sessions are some of the most high-energy, collaborative, and joyful hours spent at our new centre. Of course, without your donations, it simply wouldn’t be possible. Ordinary gaming is expensive, from the games themselves to the consoles. Add to that the adaptions and specialist equipment such as big buttons, keyboards, VR headsets, joy sticks, driving rigs, modified steering wheels, materials to make the enormous screens, and the cost only increases. The feedback from the kids and their siblings, cousins, parents and carers has been phenomenal. For the adults, it is an opportunity to relax with other parents of disabled children and without judgement. It really is about creating a community in which everyone fits in, and for financing that, we thank you. 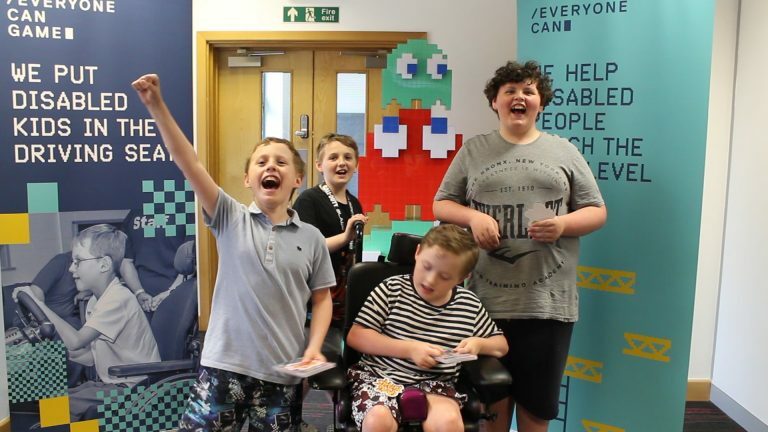 You can read more on our Everyone Can Game sessions here. One of our next projects is The Sensory Room. Many of our games are high energy and have an element of competitiveness that can become overwhelming at times for some of the kids. We believe in giving everyone an equal opportunity to enjoy Everyone Can Game which is why, with the feedback of a wonderful parent, we want to make a space that is quiet, comfortable, and calming. Take away high speed racing, rollercoasters, Fifa and light sabres. Instead, think gentle lights, soft furnishings and a sensory experience. While the plans are being put in place, we always welcome donations to get from paper to the finished product. We’d love to hear from you, so to learn more about our facilities and opportunities at the Everyone Can Centre in Sale, Manchester, get in touch! 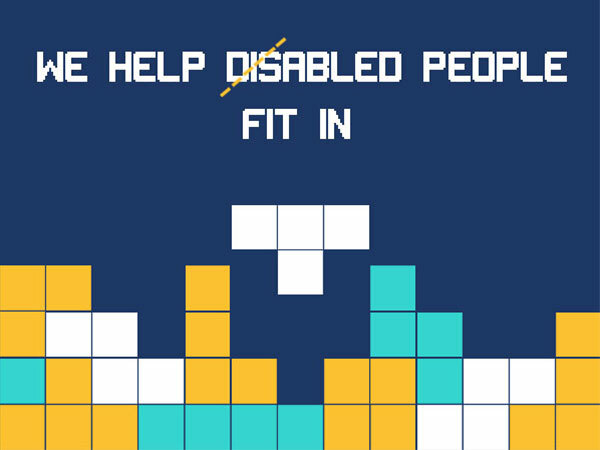 If you are able to make a donation, we can promise that it will go directly into projects that can transform people’s lives – whether it’s with two hours of uncompromised fun at an Everyone Can Game session, or an assistive technology assessment that will give a disabled person independence. To donate just follow the link!